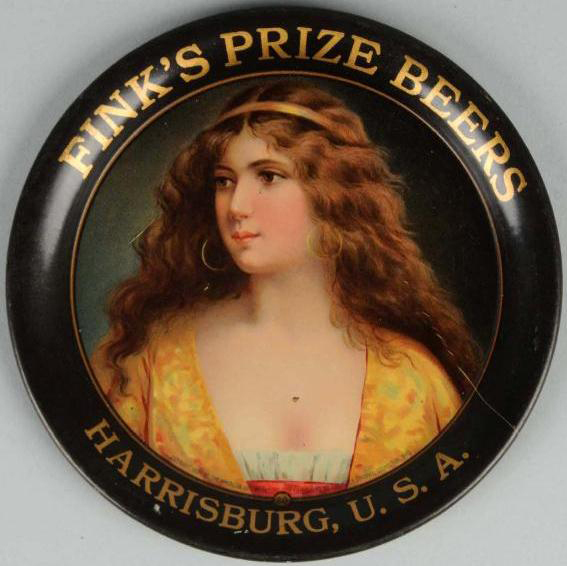 Serving Tray for Fink’s Prize Beers out of Harrisburg, Pennsylvania. The center shows a beautiful woman in a yellow dress. She’s a pretty girl and makes a great addition to anyone collecting trays with beautiful women.